Yesterday's post, Practicing with Passengers, was all about automation and the deterioration of flying skills, and how to become more proficient. I introduced Captain Pete Wilson who is conducting a survey for his thesis. Today is all about meeting the man behind the study and how he became interested in Aviation. "I guess I was hooked from a tender age of 2, parked in my pram during many a sunny afternoon (my memory must be tainted, it was in Scotland! ), facing skywards and watching the RAF jets “zoom” through the skies above our garden. At school I was in the Air Cadets, with my first flights at the controls of a De Havilland Chipmunk. I was very lucky and was awarded an RAF Flying Scholarship at the age of 17. This enabled me to get my Private Pilot Licence, but due to the need to wear glasses my plans switched to civil aviation. I have always been interested in all aspects of aviation and alongside learning to fly I completed a degree in Aerospace Engineering. During this time I spent a year's placement working at Airbus in Toulouse. Just after completing my degree, the opportunity arose to work as a mechanic and ground crew on historic aircraft at Duxford in England. I worked on a wide range of classic aircraft, my favourite being the Spitfire. My bosses there were Ray and Mark Hanna, for whom I will always have the greatest respect. I did two air show seasons as support for the Breitling Fighters Team. flying in formation with the P-40 and Spitfire. It was as part of this team that I came on my first trip to Switzerland, flying here in the back seat of the P-51 Mustang and T-6. I didn't know then that I would return years later with my wife on our honeymoon and then to come to live here! Looking to get into the commercial aviation world, I started working in the Flight Ops department of a worldwide cargo airline called HeavyLift. Getting to see how an airline worked from the inside was great experience. 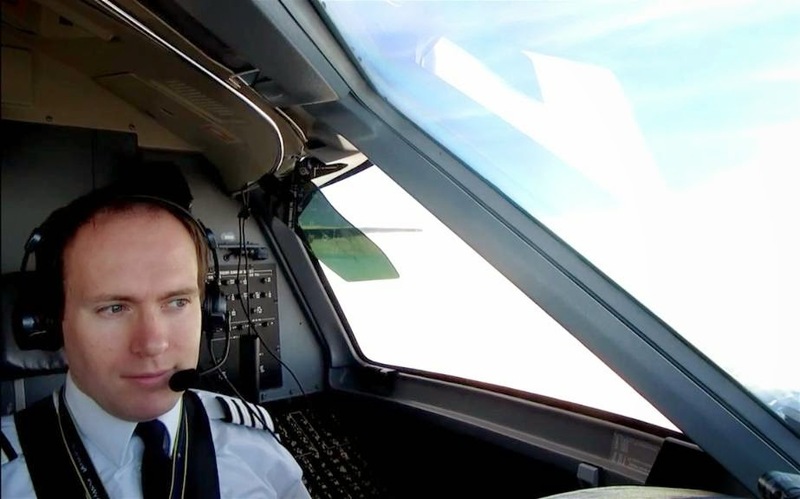 I feel all these different areas of aviation: engineering, ops and piloting, have all been valuable in my career, working in a multi-disciplinary team. 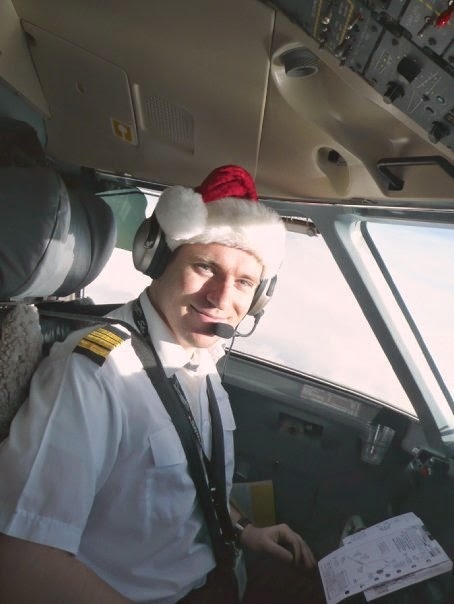 My first civil pilot jobs were on the Dornier 328 and subsequently the BAe 146 in Scotland. Unfortunately both companies being small airlines, they didn’t survive the “credit crunch”. Presently I am a Captain on the Q400 for an airline in Switzerland. I live here with my wife and two mini huskies. I love flying over the Swiss Alps and my wife was keen to move here due to the abundant supply of Swiss chocolate! In fact, it was the tale of Swiss chocolate which first brought us together. When I previously worked with the Breitling Fighters the Mustang flew back from an air show in Switzerland with the wing ammunition bays filled with boxes of chocolate. My wife said she was very impressed by this tale! I think it is important that you never stop learning. In the last few years I have been studying for my MSc in “Human Factors & Safety Assessment in Aeronautics”. 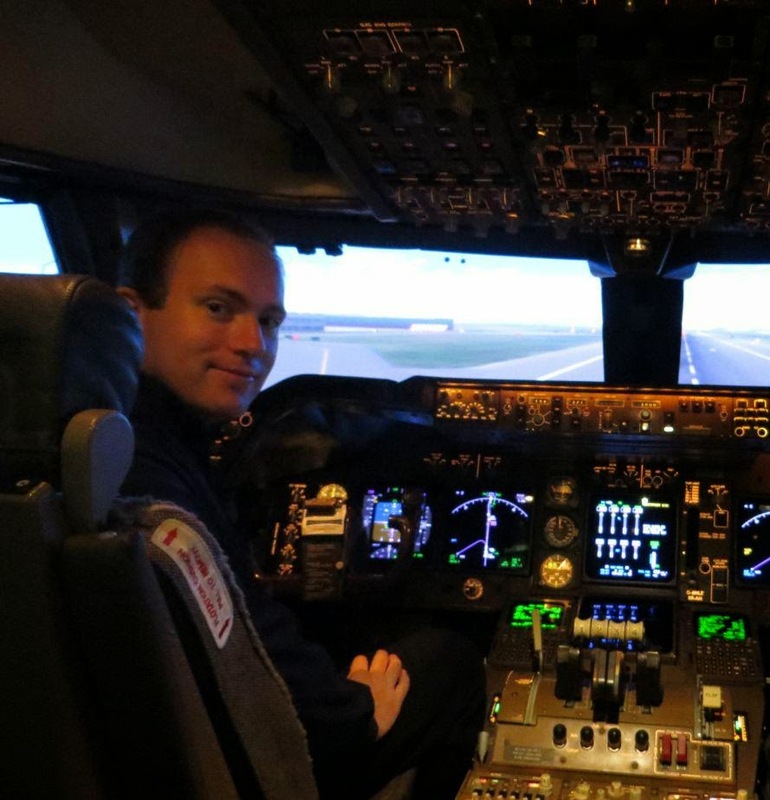 Subjects include Air Accident Investigation, Flight Deck Design, Human Performance and Error, Safety Assessment, Risk & Reliability, Aviation Medicine, Human Factors in Maintenance, Human Factors in Simulation and Training… and unfortunately Statistics! I have thoroughly enjoyed the course and met many fascinating people from a wide variety of aviation backgrounds. I am doing my research thesis on the manual flying skills of pilots of automated aircraft. This topic draws elements from most of the subjects included in the MSc. Also as a training Captain and Ground Instructor, I have a personal interest in this topic." If you haven't had a chance to take the survey, I know Pete would appreciate the support. I took it and it takes about 20 minutes. But I know it will be going to a good cause. Safer skies. Survey completed. Thanks for the study and I cant wait to learn the results. Rob, you're awesome!!! Thank you so much. I know he appreciates the help. Thanks ever so much for completing the survey! It is really appreciated. Can I have his e-mail? I wish I can write a "talk post" with his answers when my website goes on air. Oh... yes... email me. I'll email you. lol. Nice to meet you, Captain Pete! Mountain flight is where the flying really meets excitement and I envy Captain Pete for living in one of the most beautiful places in this world. Thank you both for taking me back to '96 when I was amidst the French and Italian Alps. Hopefully one day, I will make it to Switzerland on my next Europe visit. I will definitely take the survey and I wish Captain Pete the best of luck with his studies/thesis. He will definitely be helping to make the skies a safe place to be along side with you, Karlene. Oh... there is nothing more spectacular than the Italian Alps. Thank you so much for taking the survey! Cameras In The Flight Deck? How Do I Live Now? Soar with the flow of life!